We understand that staying warm while out on the water is crucial. That's why at Boylo's we only stock Winter Wetsuits that we have tried and test ourselves, and know will bring 100% satisfaction- in those colder conditions. 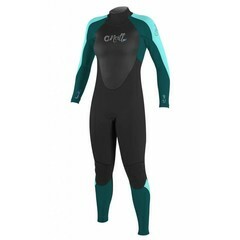 The O'neill Womens 5/4mm Epic is no exception to this, allowing you to be 'first in the water last out'. Order today with free delivery on all orders over £30, £60 for free European delivery, and get your gear at the price you want it when you want it.